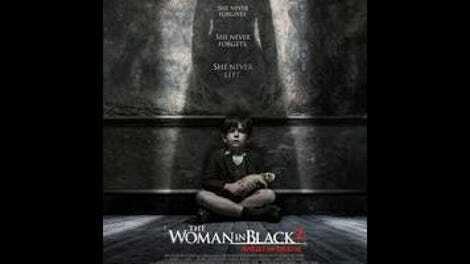 The Woman In Black, a 2012 British horror movie produced by a revived Hammer Films label, made the valiant effort of actually telling a ghost story, rather than dropping characters into a generic haunted house. 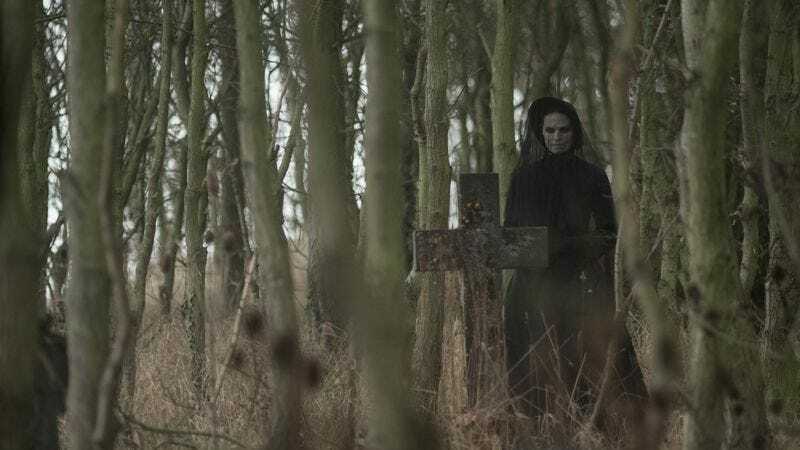 The Woman In Black 2 has the meaningless (and, in the credits, unpunctuated) subtitle Angel Of Death, but it contains no Angel Of Death apart from the Woman In Black herself, and would be more accurately titled The Woman In Black Again. Redundancy is about all it offers, despite an entirely new set of characters and a story set 40 years after the early 20th-century original. Initially, the new setting seems fit to accommodate some semi-subtext about Great Britain in World War II. The movie begins during the Blitz, first finding schoolteacher Eve Parkins (Phoebe Fox) keeping calm and carrying on while huddled in a London subway tunnel. She and headmistress Jean Hogg (Helen McCrory) eventually escape with a small group of students, including the just-orphaned Edward (Oaklee Pendergast), to the remote countryside estate haunted in the first film. Viewers of the original Woman In Black, or any haunted house movie of the past decade, will be familiar with the house’s full stock of creaking furniture and abandoned, dead-eyed toys. In other words, Angel Of Death has graduated from the grandma’s attic school of horror, with a minor in kids doing mildly creepy drawings of ghosts. Right on cue, Edward draws a ghost portrait and other children exhibit strange behavior. This leads Eve to re-uncover the mystery of the Woman In Black, with the intermittent help of a handsome but jittery pilot (Jeremy Irvine) stationed nearby. The children themselves turn out to be mostly just ghost fodder, lending the film a macabre, Edward Gorey-ish edge that it fails to wield often enough. Angel Of Death does look suitably creepy, with a color palette so foggy and muted that even a pale blue sweater stands out like a beacon. In fact, director Tom Harper captures just enough arresting images, like a wide shot of Eve running through foggy grounds toward a vehicle only visible by its headlights, to make the standard stuff (the lurking point-of-view shots, the fake-out jump scares) stand out for its generic monotony. That monotony wears down the adult characters, who pique interest during the film’s first half hour. McCrory’s prickly headmistress initially looks like a simple antagonist to Eve, but early on she reveals a humanity that makes her toughness admirable. The contrast between the two women hints at an allegorical question of whether children, or anyone, can simply prepare themselves and grim up during times of horror. But even with a late-movie change of venue that should strengthen the story’s interplay with history, Angel Of Death keeps treading over the same haunted grounds. It’s classier than a lot of horror sequels, but almost as empty—providing plenty of atmosphere and patience, but not much else.